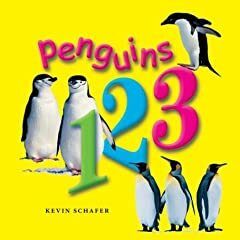 Summary: Cute rhyming book all about penguins..."One little penguin alone in the snow, somehow it always knows which way to go." Depending on the age of your child, they may need more help to put them together, but they won’t need any help eating them! After reading the book together, have fun putting together these tasty little penguins! Slice the carrot and cut two small triangles in two pieces for the feet. Save one of the triangle pieces to use as a beak. Separate and toast the English muffin. Once toasted, cut the each side of one half of the muffin to create two wings for your penguin. Spread cream cheese on the belly of your penguin and lay it on a plate. Arrange the wings next to your penguin. Add the carrot beak and feet as well as an olive slice for an eye. Hi All! I nominated this blog for an award: http://theactivefamily.blogspot.com/2010/01/and-award-goes-to.html. cute im sure little man would eat this bird up fast. Thinking i'll introduce him to penguins sometime soon!